Planning a stay-cation these summer holidays? From snorkelling to cycling and fish and chips, we have you covered. If you're looking for million-dollar views over the harbour and some of the best secluded beaches Sydney has to offer, the Hermitage Foreshore Track is hard to beat. Beginning at Nielsen Park in Vaucluse, this leisurely 1.5-kilometre trail stretches through the grounds of the historic Strickland House before ending in Rose Bay. Take a dip at Shark Beach or have a picnic in the hideaway corner of Hermit Bay. Don't forget to stop at Ralph Newboult Lookout to take a few photos of the uninterrupted view and the naval battery at Steele Point. The Hermitage Coastal walk, somewhere between Rose Bay and Nielsen Park. The perfect weekend getaway, this 26-kilometre walk in Royal National Park south of Sydney promises two uninterrupted days of picturesque clifftop ocean views and white sandy beaches.Take a refreshing dip or go for a snorkel at Wattamolla's water hole and refuel at the family picnic area. With seven beaches along the track, including the lush expanse of Garie Beach and the peaceful inlet of Curracurrang Cove, there is no shortage of sights to see along the way. Start your morning with a stroll along one of the premier stretches of Sydney's coast with direct views of the Opera House and Harbour Bridge before winding down at one of Chowder Bay's many brunch spots. 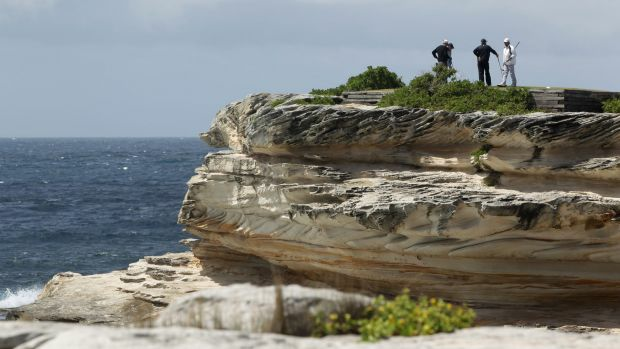 This five-kilometre walk winds through the relics of the HMAS Sydney and the iconic limestone jetty and stone amphitheatre at Bradleys Head. Make sure to pause at Athol Hall, a magnificent old estate with expansive green lawns. After the walk, relax with a spot of crab hunting at the rocky shores of Chowder Bay while the kids have a run around the playground next door. More than 2000 years old, the Jibbon Aboriginal carvings in Royal National Park are one of Sydney's most ancient Indigenous sites. Carvings of animal Dreamtime spirits mark the sandstone, including images of whales, stingrays, kangaroos and hunters, etched during ancient ceremonies. Only a one-kilometre walk from Jibbon Beach, this cluster of rock sculptures is a rare and protected sight. Just behind the beach dunes are the remains of an old Dharawal campsite: middens, tools and ash from cooking campfires. It's the perfect opportunity to get fit and brush up on your knowledge of our ancient culture. A trip to Palm Beach is never complete without a hike up to Barrenjoey Lighthouse, one of Sydney's most iconic and historic sites. The 45-minute walk to the top may leave you more than a little breathless, but the spectacular views stretching across Pittwater, Whale Beach and the Central Coast is a hefty reward for the effort. Choose from two trails: the Access Trail or the more intense and steeper Smuggler's Track. The lighthouse is available for inside tours on Sundays from 11am to 3pm, so bring a picnic basket and make a day of it. Starting at Captain Cook Bridge in Sans Souci, the Cook Park trail extends 13 kilometres north along the foreshore of Botany Bay up to Cooks River. Walk past Dolls Point and enjoy the food on offer at Georges River Sailing Club before strolling along Sydney's longest beach, Lady Robinsons. There's no shortage of places to cool off along the path, with four tidal pools along Lady Robinsons alone. It's one of the most scenic walks in south Sydney, with views spanning across La Perouse, Kurnell and Towra Point Nature Reserve. For the ultimate Sydney harbour waterfront camping experience, look no further than Cockatoo Island. Just a short ferry ride from Circular Quay, there's a "glamping" option for those less inclined to sleep rough. Wake up to sounds and sights of Sydney's glorious harbour, including panoramic views of the surrounding waterfront suburbs. Day activities include an seslf-guided audio tour of the island's history housing convicts and building ships. The island provides a lot of the camping supplies, but you'll need to bring your own food and utensils. Bents Basin is perfect for the weekend warrior who doesn't want to stray beyond the urban peripheries, but still wants to get away from it all. 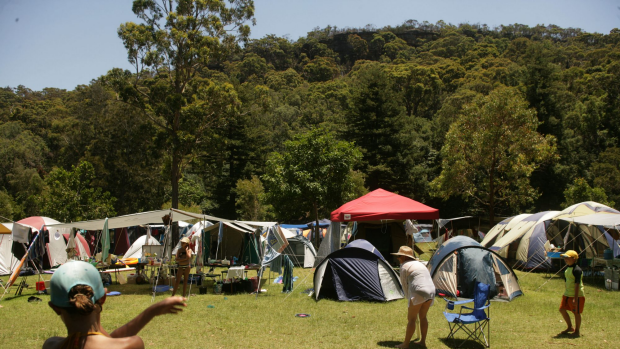 The open, grassy camping grounds are bordered by lush vegetation on one side and Bents Basin on the other. Activities include kayaking, swimming, fishing and areas sequestered especially for picnicking such as Durawi Picnic Area. 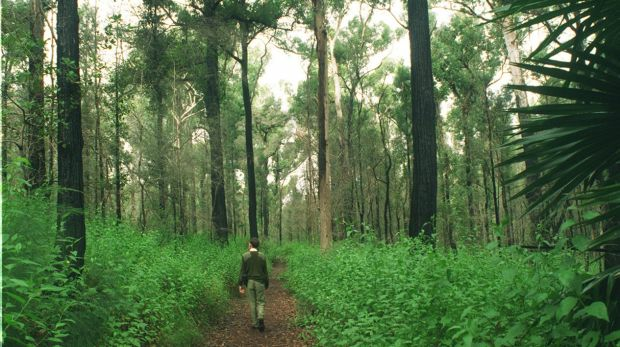 Take a walk along Caleys lookout track for expansive views of the basin through the tall Eucalypts. There are excellent facilities, including a camp kitchen and hot showers to clean of after exploring the park. 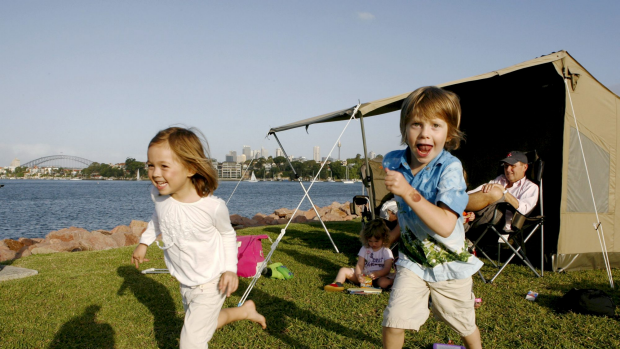 The closest camping site to Sydney city in a National Park, Lane Cove River Tourist Park has something for everyone. There are caravan, campervan and motorhome sites as well as tent and camping areas, including family and ensuite cabins as accommodation options. Hot showers, toilets and barbecue stations will keep you comfortable and the park is easily accessible by public transport. There's a pool as well as river-based activities, like kayaking and canoeing, available at Lane Cove Boatshed to keep you entertained, and a recreation room with television and wireless internet available. One of Sydney's most popular camping spots, The Basin is tucked away in the Ku-ring-gai Chase National Park overlooking Pittwater. There's no car access, so you'll need to reach it via a short walk from North Head or you can catch a water taxi or ferry from Palm Beach. Fifteen minutes later and you've arrived at a secluded paradise, with all the facilities you need and a beautiful inland lagoon. There's also the option to fish and hike many of the trails stretching into the park. 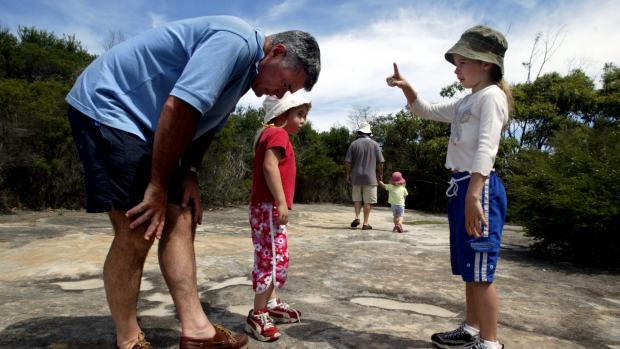 The Bonnie Vale is a family-friendly campground located deep with the Royal National Park at the north end between Bundeena and Maianbar. Known for its big sand spit (which makes for a great swimming spot), the park is camping or caravan optional, equipped with hot showers and drinking water so you won't have to rough it. You can visit nearby Jibbon​ Beach for a swim or some fishing, or go kayaking on the Hacking River. There's limited boat launching facilities suitable for tinnies of inflatable. However the launch pad isn't paved, so you'll need a large 4WD to do the job. Roar and Snore at Taronga Zoo gives you the opportunity to camp out in safari tents, fall asleep to the sounds of the zoo and wake up to beautiful views of the CBD, Harbour Bridge and the Opera House. Dine out in style and get up close and personal with some of the zoo's wildlife. The camping runs most nights in all conditions, so it's a good year-round camping opportunity. The tents are custom-made for the occasion, with electricity, double beds and on-site amenities such a bathrooms and showers to keep you camping in comfort. 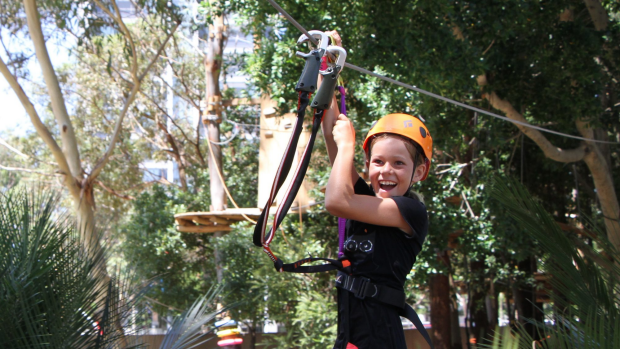 Within the grounds of the Sydney Olympic Park Aquatic Centre, Urban Jungle Adventure Park has a series of outdoor high ropes courses designed for adults and children. There are more than 50 aerial activities spread across four courses, with kids able to challenge themselves by climbing and exploring the high ropes in a safe environment. Qualified instructors provide safety training and safety equipment, but you need to be at least eight years old and 125 centimetres tall to take part. The $39.50 entry fee includes use of the aquatic centre. Bookings are essential. The Urban Jungle Adventure Park in Sydney Olympic Park Aquatic Centre. Technology-obsessed youngsters are still captivated by the traditional favourites – the famous Coney Island fun house, the carousels, distorted mirrors, sideshow games and thrilling rides. Entry is free, with tickets for rides sold separately. Best value is an unlimited rides pass for one day, or a Lunacy ticket for unlimited rides on Fridays and Saturdays after 6pm. Rides include T5, 360 Rush, and Double BOWLSeye. For those who prefer to skip the queues and relax, visit Australia's largest wave pool, The Beach, with its white sandy shores and calm waters. There's also a water play area dedicated to toddlers and babies – Wet'n'Wild Junior. 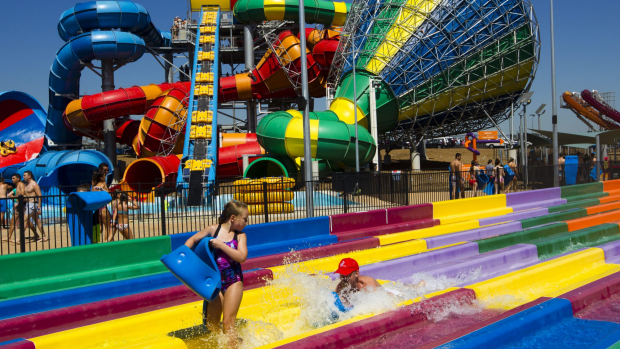 The water park is open daily with single-day admission from $64-$79. Enjoy the scenery and go horse riding at the beautiful Centennial Parklands – an experience that is sure to be a holiday highlight. There are five riding schools within the Centennial Parklands Equestrian Centre, offering riding lessons for all ages and experience. For a great introductory horse riding experience, children can enjoy pony rides every Saturday and Sunday from 10am to 2pm. A great wet weather option should the rain return. There are Flip Out Trampoline Arenas all over Sydney, and are suitable for all ages so parents can join in on the action. Activities to keep the kids engrossed include ninja classes, ball games, foam pits, skate ramps and, of course, the trampolines. A great workout for the whole family, from $10 for half an hour, $14 for an hour and $26 for two hours. Immerse yourself in the thrilling world of motorsports and experience the rush of adrenaline at Fastlane Karting. Located in the south-western Sydney suburb of Minto, Fastlane Karting boasts a 520-metre, all-weather bitumen track with an electronic timing system to record the fastest lap times. If your children enjoy messing around in bumper cars see how they fare on the big track. Children have to be over eight. One lap around the track costs $20. Part of the Centennial Parklands, the 18-hole championship golf course is minutes from the Sydney CBD. It's also home to the Sydney Golf Academy where many come to learn and develop their game. With a large course, the 60 bays, all-weather driving range and three undercover tiers provide a fun and enjoyable golfing experience. The city skyline views and accessibility to the course make it a favourite among the public. The green fees for Monday-Tuesday (off peak) are $40, Wednesday-Thursday $48, Friday $55, and weekends $63. Located in Sydney's south eastern suburb of Little Bay, Coast Golf Club offers picturesque ocean views overlooking Botany Bay. The golf course resembles the Scottish seaside links. With the inclusion of the coastal sea cliffs, the course layout proves to be quite challenging, particularly on the closing three holes. This course is suitable for players of all skill and experience levels. Overall, the bunker, green and fairways are in superb condition. The club is open to the public where the green fee for weekdays is $35 and weekends is $50. 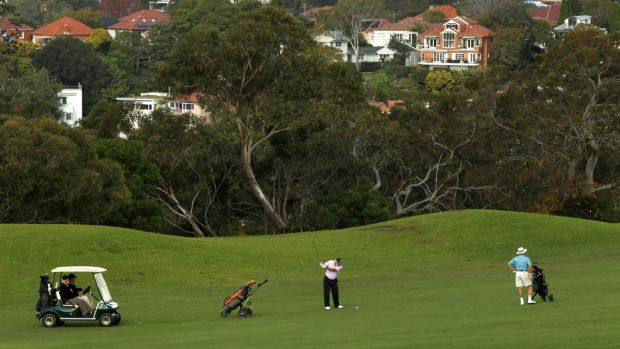 Established in 1927, the Mona Vale Golf Club boasts a challenging par 72 championship golf course. With the magnificent views of the Mona Vale beach and Warriewood headland, members and the general public are able to enjoy a great golfing experience. The first 10 holes provides a lush green slopes surrounded by trees. From holes 11 to 18, the course is more open and closer to the ocean. The challenging aspect of this part of the course are the ocean breezes but that should not stop you from tackling the course. The green fee for mid-week is $39 and $55 for weekends. With captivating Middle Harbour views, the par 64 golf course is an excellent playing field for all golfers alike. The lush green and narrow fairways provide a well-maintained course layout, challenging even the best of golfers. When you have enough of playing golf for the day, unwind at Harbourview Dining restaurant for a delicious meal. The green fee for weekdays is $33 and for weekends it's $36. Castlecove Golf Club offers excellent value for money for access to their public golf course. Castlecove is a unique golf club as it was the first nine-hole golf course built in Sydney's lower north shore on April 12, 1932. The nine-hole course proves to be challenging. When 18 holes are played, there are 14 different tee positions to play from. Visitors and the general are welcome to play with the green fee for weekdays $30 and $35 for weekends. 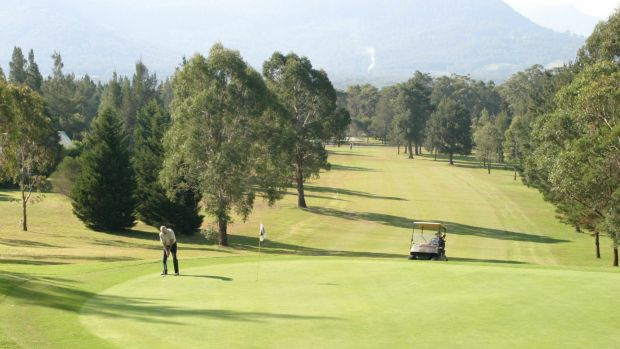 If you are looking for a golfing getaway, Kangaroo Valley Golf Course fits the bill. Located in the Southern Highlands of NSW, it's a scenic two-hour drive south-west of Sydney. Kangaroo Valley Golf and Country Club. With on-course accommodation, you can spend the weekend and play to your heart's content. The hilly course has 18 holes, which is always in immaculate condition. Overall, it provides an excellent challenge for all golf enthusiasts. The green fee for mid-week is $35 and for weekend it's $45. Kayaking is a great opportunity to view Sydney in all its glory from a different perspective. See the best of what the Emerald City has to offer by paddling around the stunning blue waters on a summer's day among the other boats and ferries. You may discover hidden beaches, cliffs and untouched bushland. You can hire a kayak at Sydney Harbour Kayaks near the Spit Bridge on Parriwi Road in Mosman for a self guided kayak tour, public group kayak tour or lessons. sydneyharbourkayaks.com.au. On Sydney's northern beaches, Pittwater is one of the best places to have a kayak adventure. Surrounded by secluded beaches and bushland, Australian wildlife is plentiful here. If you are lucky, you may spot wallabies and dolphins. 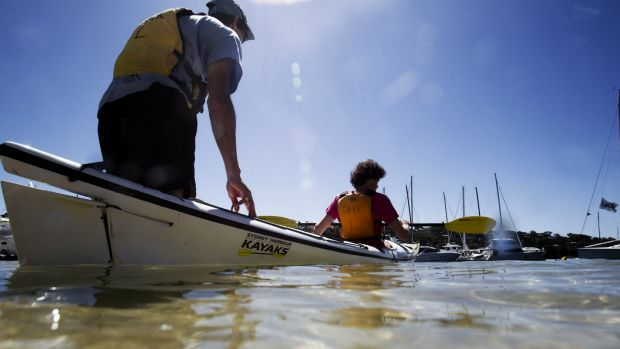 To explore the waters, hire a kayak and have a paddle with Pittwater Kayak Tours in Bayview. 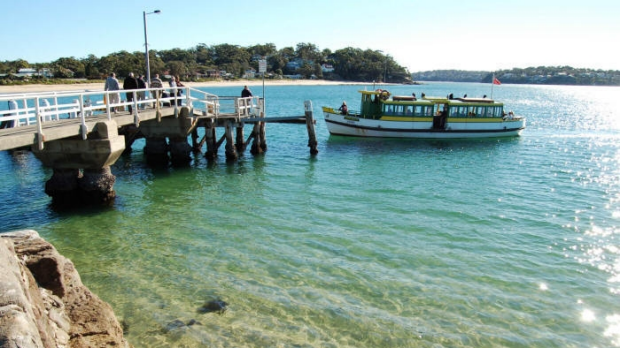 It's open all year round with the tour including a 1.8-kilometre paddle in Pittwater, followed by a bushwalk over rugged terrain in Ku-ring-gai National Park and a swim in crystal blue water. pittwaterkayaktours.com.au. 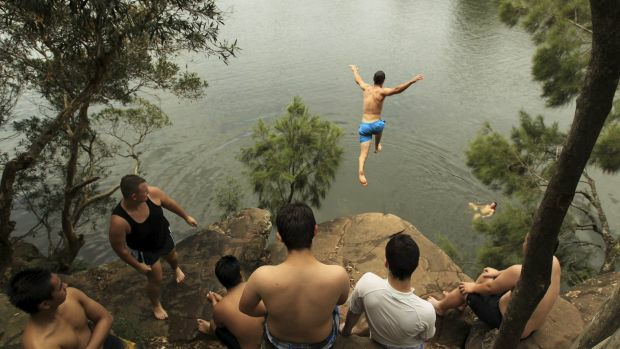 Discover the greater western Sydney region along the Parramatta River. Throughout the winding waterways, you will encounter old military establishments and industrial sites such as Newington Armory and the old railway bridge. Along the river banks, you can also witness extensive parklands of native vegetation such as mangroves. There are also opportunities to explore the Kokoda Track Memorial Walkway and have a picnic in the park. With a choice of either a half day or full day hire, Jolly Rogers Kayak caters for individuals and groups of up to 10 paddlers. jollyrogerkayaks.com.au. Explore the breathtaking scenery on the waters of the heritage-listed national park. The Royal National Park is approximately an hour's drive from Sydney's CBD. 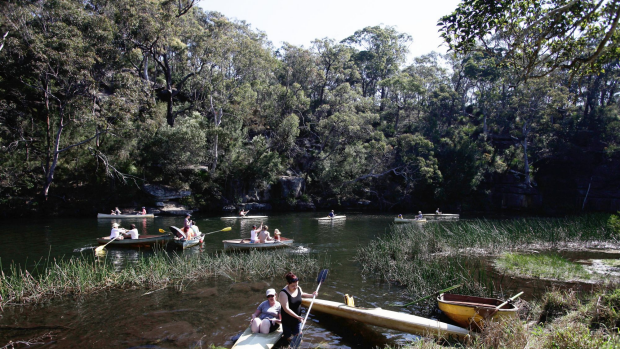 Situated on the banks of the Hacking River, visit the historic Audley Boat Shed to hire kayaks. The boatshed is located 3 kilometres off the Princes Highway between Sutherland and Engadine. It's open every single day of the year from 9am to 5pm. From there, wander around the Hacking River and Kangaroo Creek to appreciate the calm waters and wonderful bushland. It's a must for a great kayaking adventure in Sydney. Enjoy the spectacular views on offer on the eastern suburbs harbourside of Sydney by kayaking around Piper Point and Rose Bay. Tucked between the Point Piper Marina and the Rose Bay Marina, the Point Piper Kayak Centre offers the perfect location to get into the water as it offers protection from the wind. It's the ideal harbourside location where there are beautiful uncrowded beaches and picnic areas to relax in the shade after paddling in the waters. kayakhire.com.au. 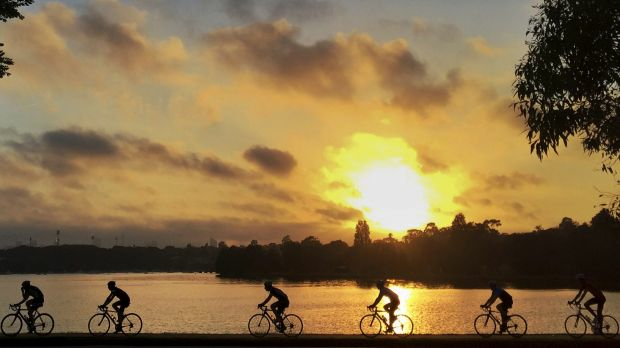 The Bay Run is one of Sydney's most popular harbourside cycle tracks for a good reason. The flat 7km track follows the Iron Cove foreshore through Rozelle, Lilyfield and Drummoyne, never deviating more than 20m from the water. Witness incredible views of the bay as you pass through nine parkside reserves, including popular wedding spot Rodd Island. The Bay Run is also an enclosed path, so you can start and finish at any point. Picnic at Leichhardt Park and begin your journey there, making sure to stopover at the historic sandstone buildings of Callan Hospital. 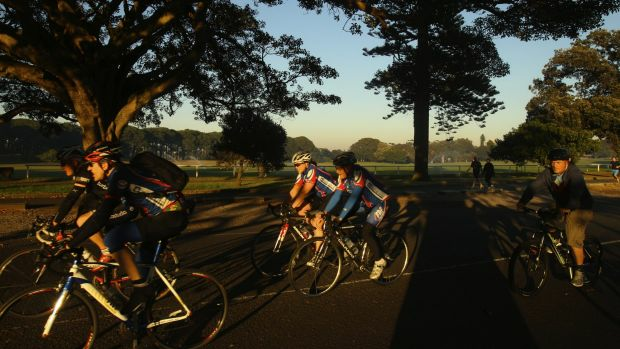 More than 750,000 visitors cycle at Centennial Park every year, making it one of the most popular spots in Sydney to get your helmet on. It's always a reliable place to turn to, opening year round from sunrise to sunset. Children and beginner cyclists can practise on the Learners Cycleway, which features an adjacent playground when the kids get bored of the wheels. Otherwise try the Grand Drive, the 3.8km track that leisurely runs around the perimeter of the park. The best thing? You can hire four-seater pedal cars so the whole family can enjoy the ride together. 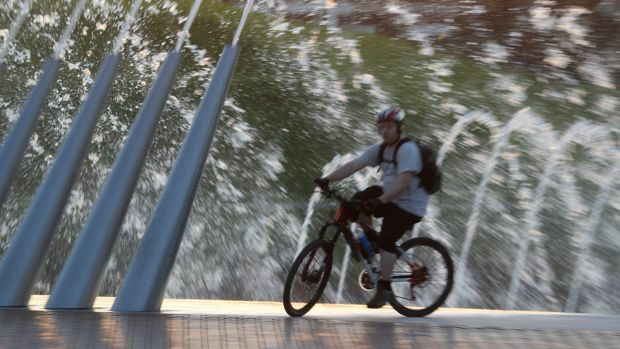 There's something for everyone at Sydney Olympic Park, whether you're a BMX rider, a road cyclist or beginner. There are three main circuits to choose from: the 7.6km Olympic Circuit, which winds around iconic Olympic sites such as the ANZ Stadium and Cathy Freeman Park; the 11km River Heritage Circuit, which tours the natural woodlands in the park; and the 5.5km Parklands Circuit, which races past native mangroves and Lake Belvedere. If you don't have your own bike, they are available to hire at the park every day of the week. Escape to Ku-ring-gai Chase National Park for the day and enjoy panoramic views of Barrenjoey Head, Pittwater and the Hawkesbury River on arguably one of the best road rides in Sydney. This 15km route boasts a well-maintained and smooth track but also has a number of steep descents and climbs, so it's best suited to more experienced riders. Cycle past the serene Akuna Bay Marina and make sure to stop over at the Driftwood Cafe, where you can relax with waterfront views and a coffee or two. If you're feeling up for the challenge, this 60km cycle is a strenuous but rewarding trek through Galston Gorge, Berowra Waters and Bobbin Head. There may be more than 1km of vertical climbing and stomach-dropping hairpin turns, but the sweeping views of the Hawkesbury River and Ku-ring-gai's rolling hills are hard to beat. 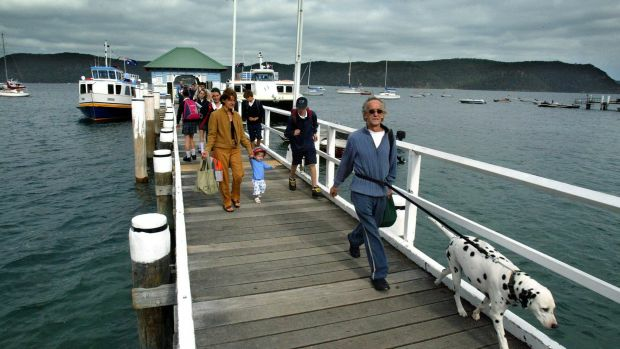 The path also takes you across Berowra Creek, where you'll board a ferry crossing that operates 24 hours 7 days a week. The whole ride may take more than four hours to complete, so come ready prepared. Passing through the most scenic locales in Sydney's eastern suburbs, this 32km enclosed cycle track begins on the pedestrian thoroughfare on Oxford St in Bondi Junction before swinging through Centennial Park and Victoria Barracks.From there, welcome the refreshing sea breeze in the downhill ride to the coastline, passing through Watsons Bay, the suspension bridge at Parsley Bay and the calm inlet of Rose Bay. Don't forget to watch out for for Heartbreak Hill, which will leave you more than a little breathless. But hopefully, the views from Nielsen Park in Vaucluse should be an adequate reward for your hard efforts. The Sydney Fish Market is heaven for all lovers of seafood. It's a favourite among the locals, families and tourists who are seeking the freshest seafood. Fish Market Cafe is the first shop you will see as you enter. Besides the standard fish and chips meal, the cafe also offers grilled seafood platters filled with a variety of seafood delights such as fried fish cocktails, fried prawns and soft shell crabs. It's often chaotic at the fish market particularly around lunchtime and on weekends. To avoid the commotion, get there early to grab a spot outside and enjoy the lovely views of Blackwattle Bay. This inner west fisho claims to be "the best fish and chips in the universe" and it does not disappoint. From 1992 to 2014, Ocean Foods has been awarded Best Fish and Chips outlet in the Sydney Fish Market Seafood Excellence Awards. Derived from a long-standing family recipe of three generations, the award-winning fish and chips are made from only the freshest local ingredients cooked with 100 per cent cholesterol-free Australian canola oil. 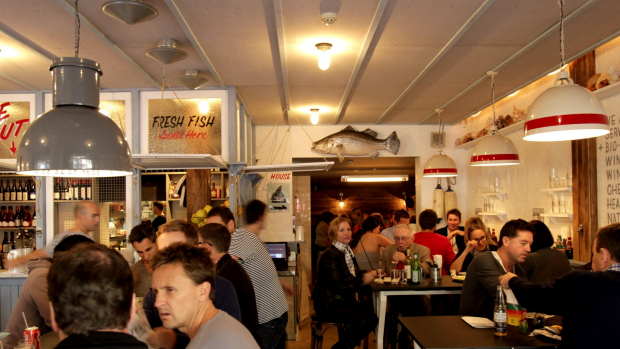 Resembling a beach shack, customers are drawn in by the nautical interior decor with fish motifs on the walls and decor. Run by executive chef of Bistrode CBD, Jeremy Strode, The Fish Shop is part of reputable Merivale group of restaurants. The menu boasts an assortment of delicious meals, focusing primarily on sustainable fish with the motto "Fish are friends and food". The best thing about this eatery is being able to choose any piece of fish you want to be cooked according to your personal preference. You can take the fish home either fresh or marinated or eat in and have it grilled or barbecued. The shop is within walking distance to the beach so you can grab a takeaway and enjoy your meal basking in the sunshine by the sea. Opposite the ferry, Palm Beach Fish & Chips is a favourite among the locals. The laidback eatery is known for its wide range of fresh beer-battered and grilled fish and crispy chips. Being a licensed cafe, there is plenty of room to enjoy your meal whether it be indoors or in the outdoor courtyard area. However, for the best fish and chips experience, cross the street to Pittwater Park and take in the ferries that come by on a regular basis. It's been 10 years since Mongers opened its doors in Bondi. The shop has built a reputation for having delectable gourmet fish and chips. The fish are always of the finest quality and the hand-cut chips are crunchy and flavoursome. With a slight deviation from the classic fish and chips, you can opt for either rice, salad or tempura vegetables. There is no better way to spend a lovely summer's day than at Sydney's most iconic beach, sitting on the sand, eating gourmet fish and chips. Nielsen Park is perched right on Sydney Harbour, offering 270-degree views of the water. Perfect for dining outdoors, the park boasts three large, sheltered picnic areas. Relax under one of the many shady fig trees or head to adjoining Shark Beach to cool of in the waters of Sydney Harbour. Despite its name, it has a shark net in place to protect swimmers. Grab a coffee after you've explored the scenic foreshore walking track from the Nielsen Park Cafe, a historic sandstone building with world-class views, food and coffee. The beautiful expanse of grass next to the sparkling water of the bay is what makes this park so invigorating. Walk through the park amongst the beautiful Moreton Bay fig trees and along the sandstone walls lining the foreshore, before doubling back to to the kiosk in the middle of the park for refreshments while the kids keep themselves entertained on the equipment nearby. There's also an an exercise park to for the fitness enthusiasts or a tennis court to hit a few balls at with your mates. Hugging the harbour foreshore and a stone's throw from the CBD, the undulating green slopes of the Royal Botanic Gardens are home to more than one million species. Popular with lunchtime joggers, the gardens contains a variety of lush vegetation with plenty of shady spots to have lunch and enjoy the scenery. Take free guided walks at 10:30am daily or an Aboriginal Heritage Tour on Fridays, which includes a tasting of bush foods. Grab a bite to eat at the Botanic Gardens Restaurant & Cafe, open seven days a week, with brunch on Saturday and Sunday. Nestled against the highway of the same name, Bradfield park offers some of the most spectacular views of Sydney Harbour Bridge and the surrounding harbour. Take refuge under the enormous span of the iconic bridge and marvel at its complex and beautiful structure from below while the kids play on the entertaining and "challenging" playground. If you're feeling extra generous, take the whole family Luna Park for some theme-park fun. Check out the Kirribilli markets on the fourth Saturday of each month to get a few bargain finds or head down to nearby North Sydney Olympic Pool for a swim with one of the world's most famous views. 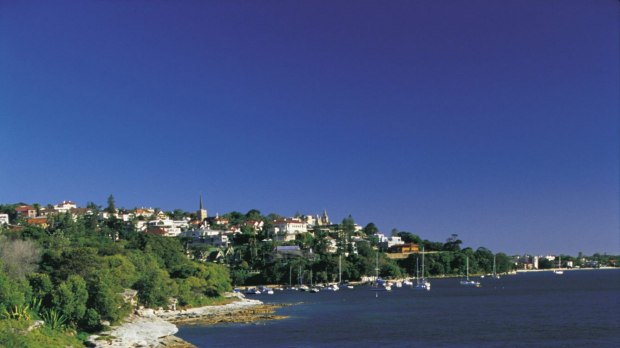 Balmoral park sits right next to the beach at Mosman, offering a lovely stroll along the shore where you can stop to make a wish at the wishing well. Explore Rocky Point, a miniature island separated only by the sand and connected by a small bridge, to get some spectacular views of Hunters Bay all the way out to the heads. There's a huge variety of activities here for all ages: kayaking, paddle boarding, windsurfing; including a children's playground and a multitude of amazing harbourside cafes and eateries. 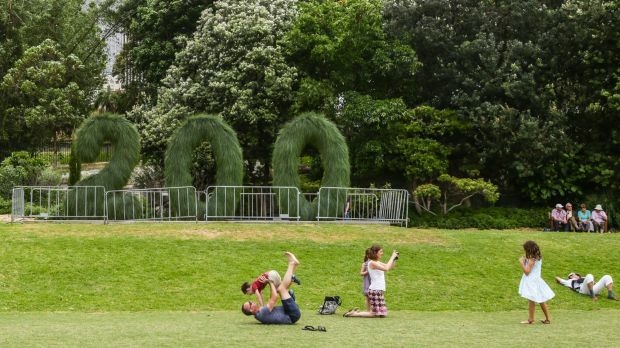 One of the biggest green spaces within the heart of urban Sydney, Centennial Park will make you forget you're even in the city. The roads encircling the park are perfect for bike riding and rollerblading, with the option to book a horse ride with one of the many riding schools within the Centennial Parklands Equestrian Centre. There are plenty of barbecue facilities to cook a up feast while you picnic on the grass and a wide selection of cafes and kiosks around where you can get a bite to eat, as well as a children's playground nearby to entertain the kids. The beautiful Mermaid Pools is one of Sydney's hidden gems, but definitely not for the faint-of-heart. Drive to the car park off Charles Point Road in Tahmoor before hiking for 45 minutes to the secluded watering hole. The only way to enter the water is either a 10- or 20-metre plunge, after which you'll need to pull yourself out with a rope. The cascading waterfall that feeds into the pool is a part of the Bargo River Gorge. 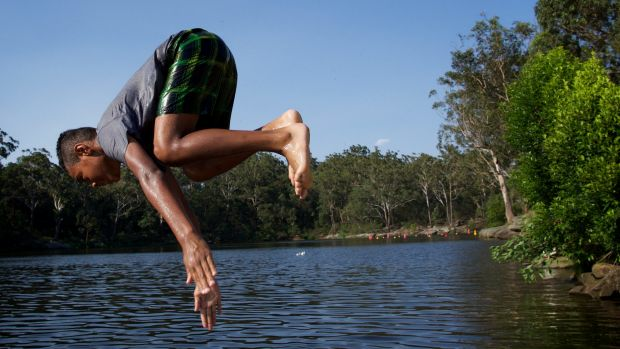 Just two kilometres from the Parramatta CBD, the lake reopened earlier this year. Swimmers can cool off in the designated swimming area which is monitored by lifeguards on weekends, public holidays and school holidays. There's a children's playground, barbecue facilities and a visitors' kiosk open on weekends. Enter the reserve from Lackey Street via Bourke Street, North Parramatta, but get in early on busy days as there are only 68 parking spots. For an oasis of crystal clear water tucked away in pristine bushland, head to Karloo pools. Accessible via an 11-kilometre track through the Royal National Park, the pools are a bit of a hike but every bit worth it. If you want to stay the night, camping is available at Uloola Falls. Hope off the train at Heathcote station on the east side and follow the signs until you get to Karloo track for a weekend escape that's not too far away. Tucked away in the Blue Mountains, Clarence Dam is the perfect way to cool off if you are making your way through the mountains via the Bell's Line of Road. Turn off after the Darling Causeway intersection to head into what the rock climbing community calls the "Cosmic County Area" for a secluded watering hole fenced in by sheer 10-metre high cliffs that are made for jumping off into the deep water below. There are plenty of nearby spots for canyoning and rock climbing enthusiasts as well. Named after the insightful observation of a little girl, who cried out, "Look Dad, it's a big jellybean" because of its shape, the pool is the perfect day trip for the family. Near Glenbrook Creek, the kids to play on the sandy embankments while you escape the summer heat in a pool flanked by sandstone cliffs. The pools are 500 metres down a walking track from the Glenbrook Information Centre car park on Bruce Road, and you'll pass beautiful flora and fauna as you make your way to the idyllic spot. 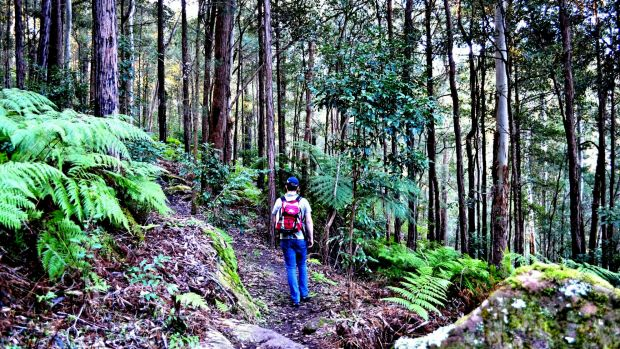 This winding, slippery track in the greater Blue Mountains will take you through the six kilometres of beautiful, lush valley track to Wentworth Falls. Follow the historic route through dense rainforest and past majestic views, which you can catch at Empress pass, before plunging deep into the valley. Relax and cool off in the pool below Wentworth Falls before trekking back up to rejoin the National Pass Trail, which takes you to Wentworth picnic area. Wear sturdy footwear and drink plenty of water. Starting at the Berowra train station, this walk follows the mammoth Great North Walk down to Berowra Waters. You'll spend much of the time on a ridge overlooking the scattered views of Berowra Creek Valley, with some especially good views from Naa Badu Lookout. Descend through misty valleys for a cool reprieve before making your way back out to rocky escarpments. Some of the climbs are steep, but all flatten out along Berowra Creek, where you can catch a ferry at the end of the walk to a cafe for an ice-cream or a well-earned bite. Tucked away in Hornsby on Sydney's northernmost edge is Blue Gum Walk circling Joe's Mountain. Starting at the green fire trail gate at the end of Rosemead Road, Hornsby, the track will take you in a circuit trail ending up at Ginger Meggs Park, about 400 metres from the starting point. Follow the signposted track along Waitara Creek, where you'll get the observe a few waterfalls and the beautiful blue gums, the largest remaining blue gum forest in Sydney. There's an abundance of pristine wildlife and flora along the way, as well as some small sandstone caves for exploring. 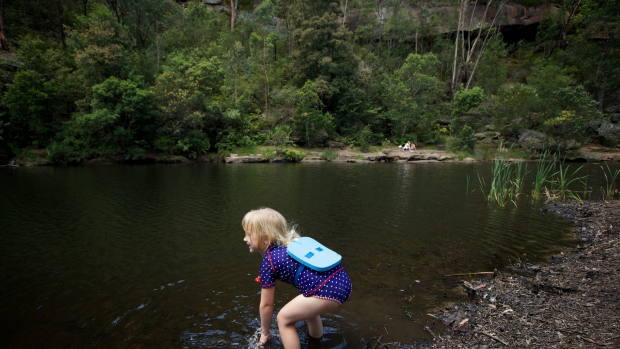 If you're looking for a track that's ideal for the family, the Fairfax Heritage Walk is well worth exploring, with wheelchair and pram accessible paths running from the Blue Mountains Heritage Centre to Govett's Leap carpark, which offers a spectacular views of Govetts Gorge, the Jungle and Horseshoe Falls. The track passes several other notable lookouts, such as George Phillips lookout, which offers magnificent views over the Grose Valley. Continue on to the pulpit walking track from Govett's Leap to immerse yourself in beautiful Eucalypt forests and catch a glimpse of the wildflowers if you're lucky. Take in some of the most spectacular views across Botany Bay, Kurnell Peninsula, and the Pacific Ocean as Captain Cook did on his arrival more than 200 years ago. Wind your way through beach clifftops past World War I and II gun battlements as you complete the circuit. Make sure to bring your swimming and snorkel gear to explore the rocky reefs at Botany Bay's entrance. To get there, drive down Anzac Parade until you reach La Perouse, and park near the entry gates on Anzac Parade, opposite Goorawahl Avenue. Opened in 1886, the Forest Path is situated in one of the world's oldest national parks and was originally part of a logging site that was stopped by protesters. The circular loop offers an easy hike through the lush rainforests. The Forest Path walk takes you on an easy hike through lush rainforests. Starting south of Bola Creek, near the southern end of Lady Carrington Drive​, you'll walk past a variety of beautiful native plants and flowers shaded by ferns and eucalypts. The path circles Forest Island, a hill which is surrounded by the Hacking River and Bola Creek, both of which you can cool down in on hot summer's days. You don't have to trek it all the way to the Great Barrier Reef to witness great diversity of marine life. Sydney is home to some of the world's most beautiful beaches. Rather than sunbaking on the sand, dive in and explore the many wonders of the sea. Don your mask, snorkel and fins to see what goes on beneath the surface. 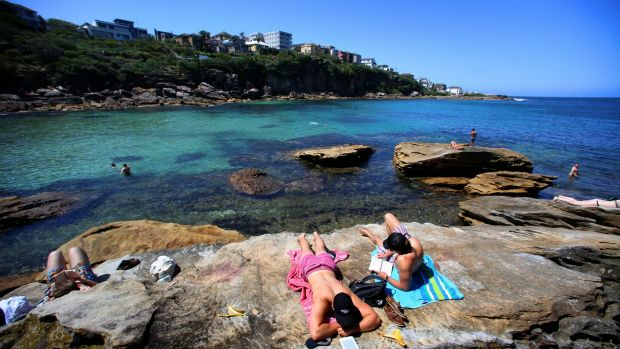 Check out six of the best snorkelling spots in Sydney. With gentle waves and rock pools, it's the perfect open-air aquarium where there are plenty of colourful sea creatures to see. 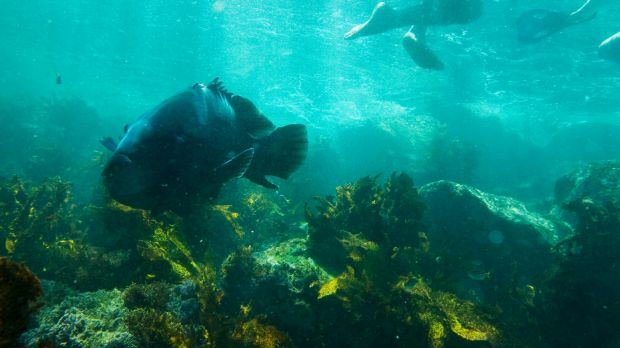 If you are lucky, you may be able to swim with the legendary blue groper fish known as Bluey amongst the locals. The elusive Bluey is known for befriending all snorkellers. 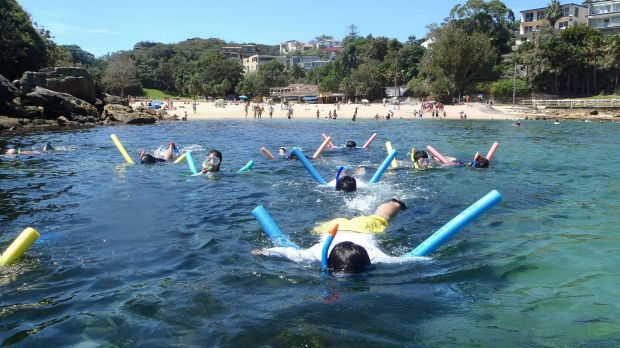 Hidden between Clovelly and Coogee Beach, Gordons Bay is a snorkelling hotspot. The best way to gain access to Gordo's Beach is to follow the path of the coastal walkway. Surrounded by giant boulders and cliffs, the picturesque bay is perfect for a snorkelling session where you are bound to find the waters teeming with sea life. For a self-guided underwater adventure, follow the Gordons Bay Underwater Nature Trail with its concrete-filled drums linked by a chain with information about local marine life. Having featured in the blockbuster film Mission Impossible II, Bare Island is one of the most popular snorkelling spots in Sydney. Off the coast of La Perouse, an impressive fort was built on the island in 1885 to protect the area from a potential Russian invasion. There's plenty to see on and below the surface of the historic island. On the island, there is the fort and various rock platforms to explore. And the view underwater is just as spectacular. You can expect to see puffer fish, sponge crabs and seahorses. Tucked between Manly and Shelly Beach, Cabbage Tree is a spectacular aquatic reserve home to more than 400 species of marine life. Since being declared a "no take" aquatic reserve in 2002, in lieu of fishing, there has been an increase in diversity of marine habitats. Being sheltered from swells and winds makes it the ideal place to get up and close to the underwater wildlife such as giant cuttlefish, yellowfin bream and stingrays. For a fantastic snorkelling experience, Cabbage Tree Bay is the place to be. Next to the Cabbage Tree Bay Aquatic Reserve, Shelly Beach is a lovely sheltered snorkelling location for people of all ages and experience. 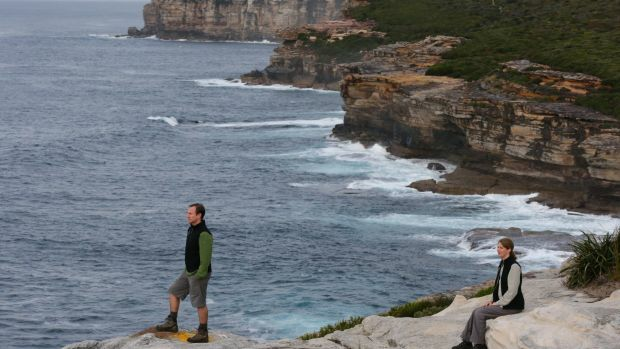 It's also only about a 20-minute walk from Manly Beach. The beach itself is a delight as snorkellers explore the tranquil waters. Keep an eye out for sea turtles, squids and Port Jackson sharks. Being the only west-facing beach on the coast of NSW, Shelly Beach is a wonderful place to watch the beautiful sunset after a busy day of snorkelling. If you're looking for a family-friendly snorkelling location, Little Bay is perfect. With encircled rocky headlands, the beautiful scenic view makes it Sydney's best kept secret. The shallow calm waters make the bay the ultimate location for snorkelling for the kids and first-timers. There is a neighbourhood of colourful sea urchins and vast variety of fish living in Little Bay waiting for you to discover. 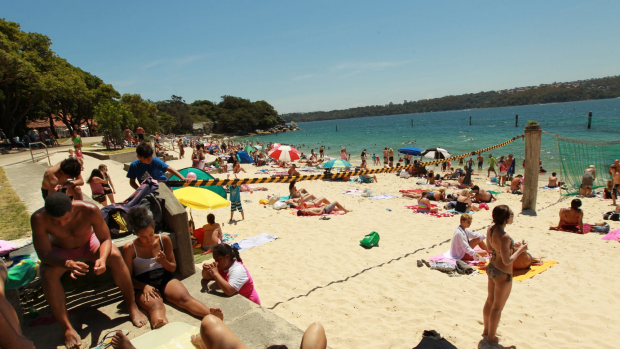 It's also known as one of the cleanest beaches in Sydney. A secret harbour treasure near Nielsen Park at Vaucluse onl accessible on foot. In this flat, grassy spot you can picnic and take in the harbour views before snorkelling in the crystal clear waters (at high tide is best). So named because of the now destroyed sandstone columns that resembled glassware. 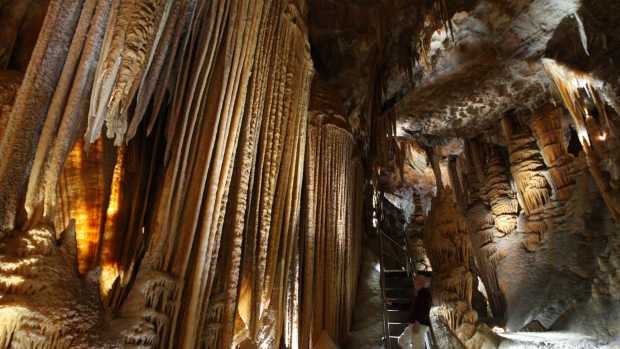 On the other side of the Blue Mountains, the Jenolan Caves are one of the central west's star attractions, drawing in more than 250,000 visitors a year. You can tour any of the 10 caves, appropriate for any age and fitness level, and view the beautiful stalagmite and stalactite formations and underground rivers. Braver souls can attempt the "Adventure Caves", crawling and squeezing their way through the underdeveloped caves with only headlamps for guidance. If you want to stay overnight, there's always the historic Jenolan Caves House, originally built with its own ballroom, now converted into a restaurant serving modern Australian cuisine. Get there via private coach tours leaving from Sydney or Katoomba railway station. Known as one of the best and most beautiful wine-making regions in Australia, the Hunter Valley lies about two hours out of Sydney and offers a variety of different tours to help visitors explore the region's finest attractions. Explore the region on horseback or in a vintage car, while you take a break sampling some of the valley's drops. Often the wineries will operate a cellar-door policy, which means visitors can turn up and sample wines, giving a degree of flexibility. Choose your accommodation from a selection of boutique hotels or B&Bs, which often have some of the most spectacular views of the valley. A pretty, historyic town 80 kilometres south of Sydney. Take a self-guided walking tour, visit historic Tahmoor House, quench your thirst with a traditionally-brewed beer at the George 4th Inn dating back to 1839. You may even spot a ghost or two as Picton is supposed to be a particularly haunted haunt. A day-trip bucket list wouldn't be complete without an excursion to the world's second-oldest national park. With more than 15,000 hectares to explore, visitors can spend their time visiting beaches, canoeing in rivers and creeks or hiking along the spectacular coastal trails. The terrain varies from lush rainforests to rocky plateaus with the options for camping at designated spots in the park. With plenty of water activities and bike trails, Royal National Park has something for everybody. Located near Cronulla, the park is about an hour south of Sydney, making it the ideal distance for a day trip. Famed for their hazy blue appearance in the refracted sunlight, the Blue Mountains offer the ultimate, go-to day trips for Sydneysiders. Visit one of the many beautiful towns dotting the Great Western Highway, such a Leura, where you can visit the teapot museum, Bygone Beautys, and view more than 5500 different teapots. Head to one of many of the lookouts which offer spectacular views of the valleys carving their way through the mountain range, such as Evans Lookout in Blackheath or Echo Point in Katoomba. Here you'll be able to view one of the mountains' most iconic attractions, the Three Sisters, then walk down the Giant Stairway (980 steps) to the valley floor. Best known for being the setting of the fictional Summer Bay, there's a reason why soap Home and Away is set in the beautiful beachside suburb on the northernmost tip of Sydney. 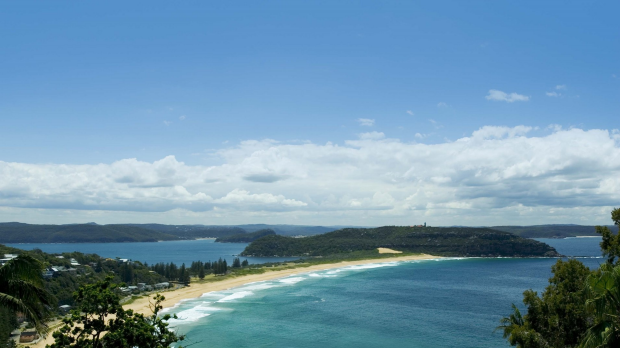 An hour out of Sydney, Palm Beach is easily accessible via bus or car and offers a plethora of activities. Avid surfers can tackle the beach break while swimmers can relax at the calmer, southern end of the beach with the family. Golfers can sink a few holes at Palm Beach Golf Club and make sure to take head up to Barrenjoey Lighthouse for a spectacular 360 degree views over Palm Beach and beyond. Hidden away in the beautiful Southern Highlands, Kangaroo Valley offers many attractions without being too far away from Sydney, including a veritable plethora of locally produced foods such as olives, wine, fudge cheese, as well as hands-on activities such as fruit picking. Lovers of the great outdoors can go bike riding, canoeing, horse riding, fishing or play golf at one of the many courses around the region. Visit the galleries to pick up some home-made arts and crafts or homewares. There are many cottages, farms and villas available to those wishing to stay longer with beautiful views of the surrounding countryside.